300kg Ohaus Defender 7000 Bench Scale - Gilson Co. The OB-732 Ohaus Defender 7000 Bench Scale is a versatile model with many user-selectable units including kg, g, lb, oz, lb:oz, tonnes and custom units. 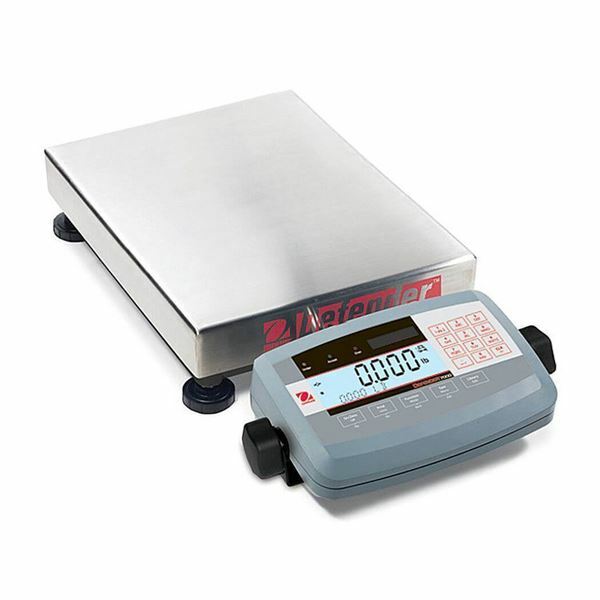 This 300kg (600lb) scale has a 20.0g (0.05lb) readability and 16.5 x 21.7 (420 x 520) stainless steel weighing platform.